Matsmart is a Swedish private limited company founded in 2012. 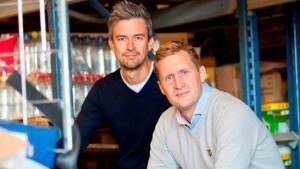 The founders (Erik Södergren, Ulf Skagerström, Karl Andersson) have a background in food commerce, technology, sales and media. The company has undergone rapid growth and the estimated volume of business will be 20 to 30 MSEK in 2015. In the autumn of 2015, Matsmart will establish a new warehouse and distribution center in Katrineholm. The company has around ten employees in stockwork and distribution, and a few more working with sales and marketing. ”Matsmart deals with surplus commoditites, with short expiration dates or obsolete packaging. It can be anything from pasta, rice and canned food to oil and mineral water. We are often able to sell the products at a markedly lower price than the general dealers, and out-of-date food seems to be a good business opportunity”, Ulf says. ”We have moved our stock from Stockholm to the railway junction Katrineholm. We are still using lorries for distribution, however”. Food waste happens throughout the chain of distribution. Depending on the type of product, 10 to 50 percent ends up as waste. There are many reasons – damaged goods, expired best-before-dates, and the inherent difficulty in planning the needs of large-scale catering, households and restaurants. The patterns and behaviour of consumers and their attitudes towards food waste are important factors as well. According to Swedish emission data gathered by the SMED consortium, Swedish households throw away considerable amounts of edible food – half a million tonnes of food and beverage goes in the garbage or down the drain, every year. Per person, the yearly amount is 28 kg of garbage and 26 kg in the drain, adding up to close to one kg of waste every week. Examples of unnecessary waste include leftovers from meals, and bread and fruit still good enough to eat. Coffee, tea and dairy food are the most common foods to be poured in the drain, according to the Swedish government agency Statistics Sweden. Food and beverages left over from meals, coffee breaks and cooking are often not taken care of. With dairy foods, the reason is often either a passed expiry date or that the product has gone bad. The amount of food being wasted differs a lot between households; single person households generate the most waste per person – 32 kg yearly. Larger households, consisting of five people, only generate 15 kg per person. 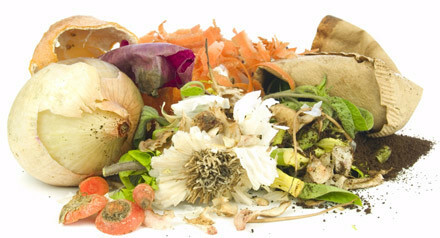 Restaurant waste adds 9 kg per person yearly, and grocers 7 kg. Commercial kitchens add another 3 kg. Throwing away edible food impacts the environment negatively. 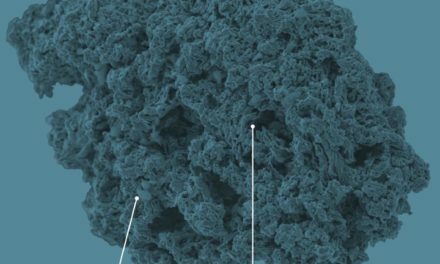 The amount wasted corresponds to production emissions of 2 million tonnes of carbon dioxide every year – 3 percent of the total greenhouse gas emissions from Sweden. ”We founded Matsmart together with Karl Andersson and ICA grocer Erik Södergren in 2012. We make volume purchases of food, perfectly good to eat, and our customers make their purchases from our online shop, either for home or mail delivery. 95 percent of our customers choose to pick up their deliveries at a Postnord service location”, Ulf Skagerström says. ”We have 700 articles in stock, but we are planning to expand to 1500. We are also increasing our market efforts. We believe that food waste is a needless waste of natural resources, and many share this view. Since the customer also saves money, everybody wins”. Matsmart provides an alternative for suppliers and wholesale dealers, giving them an opportunity to sell their surplus: items with short expiry dates, passed or approaching best-before dates, mislabeled products or just obsolete items which grocers for some reason want to replace in their inventory. There are similar concepts in other countries. British Approved Food, for instance, has demonstrated that there is a consumer demand for this kind of service. ”A box of pasta, a bottle of mineral water or a bag of chips don’t become inedible on the best-before-date. That date is a recommendation with a wide safety margin. If the product has been stored properly, the food is good to eat and tastes just as well for a long time after the best-before-date has passed. There is nothing wrong with this food”, Ulf explains. ”Expiry date differs from best-before-date. After the expiry date, the producer can no longer guarantee that the food is harmless to consume. Minced meat, raw poultry and raw fish are examples of delicate foods marked with a date of expiry. Matsmart does not sell such products”, Ulf Skagerström says.